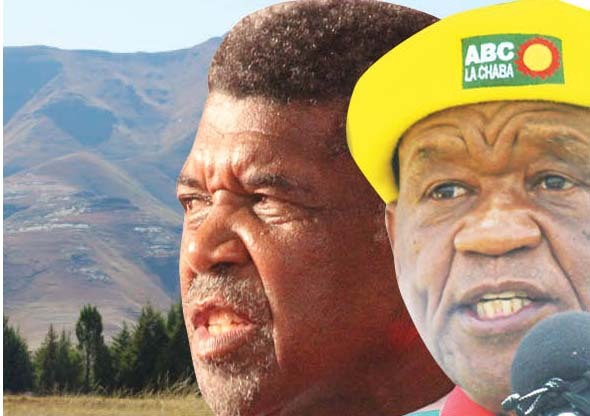 ALL Basotho Convention (ABC) boss Thomas Thabane and Democratic Congress (DC) deputy leader Monyake Moleleki have finally agreed on a coalition arrangement to oust Prime Minister Pakalitha Mosisili, the Lesotho Times has established. Their talks had been ongoing but inconclusive. The two sides had called a press conference yesterday to announce their decision to work together but the event was postponed at the last minute, ostensibly to enable them to iron out the finer details of their cooperation arrangement. If the two sides complete their discussions, the press conference will be held today, failing which it would be convened at a later date. But officials interviewed from both sides said Dr Thabane and Mr Moleleki, representing the national executive committee of the DC, which announced last Thursday that it had suspended Dr Mosisili from office, were now in the same boat and determined to cut short the latter’s time in office. Dr Mosisili has nonetheless disputed his ouster from the DC, saying his party’s NEC had no authority to suspend him. Talks towards forging an alliance by Messrs Moleleki and Thabane have been ongoing but seems to have intensified as the infighting within the DC escalated to breaking point last week with the announced suspension of Dr Mosisili from the party, which the Prime Minister rejected. The negotiations had initially stalled over a disagreement about who between them becomes prime minister if the two political veterans joined forces. However, it seems the disagreements have been ironed out, with impeccable sources who spoke to this paper saying the two leaders were now on the same pedestal. Dr Thabane enjoys an advantage given his numerical edge. Dr Thabane’s ABC, which is the biggest opposition party, currently has 46 MPs. Added with RCL and BNP lawmakers, the opposition bloc consists of 55 MPs. Mr Moleleki, who is also the Machache constituency legislator, has said 22 MPs have already pledged their allegiance to him after the DC NEC announced that it was withdrawing from the coalition government earlier this month. Mr Moleleki has said he expected more DC MPs to respect the NEC’s directive to withdraw from the coalition government. While Dr Mosisili has managed to keep 25 MPs under his wing, the seven-party government would be vulnerable to a motion of no confidence in the National Assembly as they can now only muster an estimated 43 legislators at most. National Assembly Speaker Ntlhoi Motsamai on Tuesday indefinitely adjourned parliamentary sittings amid howls of protests by opposition MPs that the move was a strategy to dodge a proposed no-confidence motion against the coalition government. Ms Motsamai had also asked 13 opposition MPs to “show cause” why they should not be expelled from the august house for alleged absenteeism without her permission. The opposition MPs have queried the timing of the move, saying it was ultimately meant to reduce the number of opposition MPs in the event of a no-confidence motion against the government. In the letters, Ms Motsamai claimed that by 9 December 2015, the legislators had reached the “threshold of the prohibited absenteeism” by being absent during a third of the total sessions of the house in a year without her permission. The opposition MPs have argued that the letters were politically-motivated since they were issued almost a year after the alleged infractions were committed. The MPs lodged a High Court application earlier this month to try and forestall the Speaker from unseating them. They had already anticipated that she would serve them with the “show cause” letters. Ms Motsamai has since said she is suspending further action on the letters until the courts adjudicate the dispute. Mr Moleleki has admitted to being a member of the DC’s Lirurubele (butterflies) faction that is fighting the (Lithope girlfriends) grouping for the control of the party. The fulcrum of the feud was the NEC’s announcing of the party’s withdrawal from the seven-party governing coalition government, in which it was the main partner, and ordering members including Dr Mosisili to resign from their government positions. Dr Mosisili has since refused. The NEC, which is the DC’s supreme decision making body between conferences, cited corruption, nepotism and deteriorating relations with development partners as some of the reasons they broke off from government. Mr Moleleki and four other ministers and deputies also resigned from government, before moving to the National Assembly’s crossbench to signify their withdrawal from the government. The NEC said it had suspended Dr Mosisili for alleged misconduct, with the premier defiantly dismissing the move as “null and void”, saying the committee did not have the powers to make such a decision. He has since called for an emergency party conference from 2 to 4 December this year to take “harsh disciplinary measures” on the NEC for its decisions that are “dangerous to the party”. Dr Mosisili also wrote letters to Mr Moleleki and DC Secretary-General Ralechate ’Mokose requesting them to furnish him with reasons why they should not be suspended. Yesterday’s press conference was postponed amid fevered speculation that the Thabane/Moleleki deal, which is also expected to include other opposition parties, had been finalised and was ready for unveiling by representatives of the two leaders. Scores of DC, ABC, Basotho National Party (BNP) and the Reformed Congress of Lesotho (RCL) supporters thronged the Victoria Hotel in Maseru, the scheduled venue of the press conference to hear about the “big announcement”. However, DC Youth League President Thuso Litjobo told the gathering the announcement would only be made today by “the leaders of the two political parties”. He did not elaborate further. Contacted for comment last night, Dr Thabane said the announcement was postponed because the “finer details” were still being finalised. “The reason for the postponement of the press conference was to make sure we execute everything in an orderly manner so that we don’t get anything wrong,” he said. The former premier said a team was working on “ironing out the finer details of the announcement to be made at the press conference as we speak”. For his part, Mr Moleleki last night said he could not comment as he was engaged in a meeting with the Southern African Development Community (SADC) Oversight Committee which was dispatched by the regional body to act as an early warning mechanism in the event of instability in Lesotho. 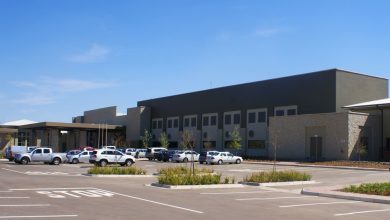 Established by an Extraordinary Summit of the Double Troika held on 3 July 2015 in Pretoria, South Africa, the committee is also tasked with providing assistance in the implementation of constitutional, security and public sector reforms in Lesotho. The Lesotho Times has learnt that the SADC Oversight Committee has already been engaged on the infighting rocking the DC. Sources said Messrs Moleleki and Thabane were now determined to work together to oust Dr Mosisili at all costs. The two will wait for whenever Parliament re-opens to assert their cooperation agreement and seek Dr Mosisili’s ouster even if the latter were to pursue the dissolution of Parliament option and call for fresh elections. Dr Mosisili’s actions have so far hinted that he will not go down without a fight, signalling very delicate times ahead for the country. Church leaders have already warned that the DC’s war of attrition would render government dysfunctional and imperil service delivery.